MINDLESS: The least exciting sweater in my sketch pile is the one I need the most. I’ve been saying for as long as I’ve had this blog that I need a good summer cardigan, and Bellows had stepped into that role the last two years. Now that it’s gone to live with my mom, I have to immediately fill the summer-cardigan gap. Rather than make another superbulky shawl-collar to improbably fill that role, I’m going with something more basic and adaptable — a simple V-neck Improv cardigan. But I do think the yarn should still be Balance, as Bellows was. Holding this yarn single (it was doubled for Bellows) means alternating skeins and I’m lazy, so I got to thinking about other ways to deal with the ball changes. I’ve always loved Joelle Hoverson’s idea, from her Diagonal Pinstripe Scarf, to knit a stripe wherever she happened to be when she put the project down, and thought I could follow similar logic here, except knitting a couple of garter ridges wherever the ball change happened to occur. I debated sticking with the Graphite colorway, since that had worked well for me, but think this particular cardigan might seem too somber in charcoal, so I’m going with the light grey, Talc. CHALLENGING: As eager as I am to replace my shawl collar, I think it’s high time I knitted the fisherman sweater I’ve always dreamed of. 2017 is the year, dammit! And I plan to take my time with it, so I better get started. I believe I’ve settled on the vintage pattern, Bernat 536-145, that keeps turning up in my path, over and over, since that feels like the universe trying to make a point. I haven’t tried it yet, but for the yarn I’m hoping I can make Arranmore work, because I’m in love with this yarn and think the tweediness of it would be both attractive and useful here. We’ll see what a swatch says! TOP: There’s a sweater floating around Pinterest the last few years that I find myself never not wanting (I think it might have been Steven Alan), but of course it was several seasons ago and no longer available, so I’ve decided that’s what I’ll be doing with my treasured Junegrass. (Improv) I also have ideas about the timing and context of this one, which I’ll have more to say about soon! BOTTOM: For all the times I’ve said I wish my purple Trillium cardigan was grey, I’ve decided to make a grey one. I happen to have the two random sleeves I knitted long ago from my beloved Sawkill Farm stash, and am planning to see if I can make them work for Trillium. Not sure if I’ll do the chevrons-and-nups treatment around the yoke or modify that somehow. TOP LEFT: I’m champing at the bit to try the Cocoknits Method of top-down, which leads to English-tailored shoulders and set-in sleeves. I want both a big bulky pullover and a chunky cardigan, and will likely follow some version of the Emma pattern for whichever I ultimately decide on. TOP RIGHT: Yep, it’s that sleeveless turtleneck again. I’m going to knit another one and hope you will too! I’ll have lots more to say about that tomorrow. BOTTOM LEFT: Not letting go of the cowichan-ish idea, likely a customized version of Jane Richmond’s West Coast Cardigan. 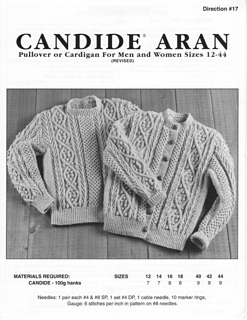 BOTTOM RIGHT: And pretty sure the shawl-collar replacement will be Norah Gaughan’s Sourcebook Chunky Cardigan. Not sure about yarn yet, but this will likely come next in the Challenging column, someday when the vintage Bernat is done. Either of those last two would make an excellent Rhineback sweater-jacket, so that may have bearing on how the queue plays out over the next few months! This entry was posted in Finds, Projects and tagged bernat fisherman, knitting, queue check, summer cardigan, sweaters. Bookmark the permalink. Wow. You are such an organized planner! I’ve decided to shop in my own stash and knit it down, but I should be more organized about it. I too am going to Paris (mid-April), and I haven’t even BEGUN to figure out what I’m packing, except for a couple of pairs of pants that I just bought. I CANNOT WAIT to see the fisherman’s sweater that you are finally going to make for yourself! I also want to see the funnel-neck one, as I have been thinking about finally knitting something for myself and thought I might do something like that. I’ve also been thinking about a cowichan-ish idea. There’s an article in the most recent Vogue Knitting Magazine about the history of it that re-sparked my interest. I tried some on during an Alaska-British Columbia trip two summers ago, and realized that “the real thing” has very short sleeves, and we all have very long arms in my family. I always add inches to sleeves when I knit them, even for kids’ sweaters. Thanks for the juicy post! Balance Improv – I am interested to see how this turns out because in the sketch, it looks like the V is lower than where the sleeves are split off. I don’t know how this affects stitch count, when I *tried* to improv for the KAL, I got here and had problems. I would like to see more styled outfits with the sleeveless turtleneck! It looks like a great knit but I would like a turtleneck with sleeves I think. I’m going to jump the gun and say that if you’re hosting a KAL for the sleeveless turtleneck, I’m all over it. Just sayin’. You got my vote here. Me too! I’ve been waiting/hoping for the pattern! I really like the idea of the West Coast Cardigan, but not really happy with knitting in bulky or super bulky. I’ve been contemplating a DK weight cardigan featuring Chinook tribe designs . . . . I would also suggest checking out the patterns by Heidi Kirrmaier for some of your mindless knitting patterns. Lots of stockinette…but nice drape. I have knit both Peasy and Fine Sands. I am resisting knitting Quick Sands with my most recent acquisition from Spirit Trail Fiberworks (because I think the yarn really needs to have something textured)…but I have a lot from her in my mental queue for sweaters. Me too, for exactly the reasons you list. I just hope to have as much style as the model (Heidi herself?). Love the swatch for Junegrass!!! Still can’t believe I miss my chance on that yarn… Natural, undyed, local heather grey yarn always gets me! Excited how that sweater will turn out! Love the stitch pattern in that swatch too! They’re all so beautiful – how will you choose?! I’m loving the Steven Alan inspired sweater. Can you please share what stitch pattern you used for your swatch? Your patterns and yarn colors are incredible, Karen. As someone who has never knit more than scarves and hats I’m constantly on the search for classic sweaters, usually cardigans, in quality fibers in colors like gray and black and warm brown. Given that I mostly source these secondhand–though I’m a pretty eager researcher so I search far and wide–it’s SO very hard to find classic sweaters in neutral colors. These are perfection. You inspire me beyond measure, friend. Can’t wait for the sleeveless Turtleneck!!!!!!!!!!!!!!!!!!!!! I really appreciate how your organize your knitting and sewing project queue. It helps me think about my list of project wishes and gets me excited to knit more. Girl, that TN Textile Mills camel is amazing. I’m making a Koto sweater with it right now and am totally in love with both the color and feel. I’ve already gone back to buy more in black for whatever I make next. Amazing, I just go through magazines or yarn shops and buy yarns and start projects on impulse!!! And I suppose I by-pass projects that seem to difficult. Good for you to always have sweaters that you take on specifically to challenge. I love your choice of yarns and colors. it did make me laugh how we all stay within our comfort zones. The colors you choose for sweaters are the same colors as your Fringe Supply Co products!! Maybe that should be a summer challenge on a small project, push your self-make something that is pink or yellow or purple or blended colors that turn out to look like ombre???? All your items are gorgeous, just kidding you. An impressive queue, and beautiful swatches. The Cocoknits workshop is very intriguing; I’ll have to check it out. The funnel neck sweater reminds me of Jess S.’s FAFKAL! I’ve been thinking of that one a lot lately, contemplating something similar in my Shelter marl stash (endless thanks for that, of course). BT Koto is also a contender, but I have plenty of time to decide since I probably won’t cast on til fall. A thought regarding skein variations… knit in the round using the helical stripes technique discussed on MasonDixonKnitting.com, then steek the tube to make the cardigan. I would love to see a KAL for Bernat 536-145. Have the pattern, the yarn, now just trying to find the energy to tackle this one. I have just realised this method would only help if you were knitting in the round and I know you prefer to knit flat. Wow, somehow I missed the CocoKnits book, thank you for pointing it out to me! Just ordered a copy…. Eagerly awaiting delivery. I, too, return time and again to the vintage Bernat Irish Knits book. In the sixties my Grammy made me an Aran poncho from a yarn so heavy, it must have been a rug weight! I recently undid the seams and reseamed the two rectangles into one to make a cozy lap blanket to help my sfbay area daughter stay warm through her MN winters in college. My favorite vintage Aran is Candide Aran 17: http://images4-b.ravelrycache.com/uploads/OmaW/271066341/reynolds17.pdfcoverdata_small2.jpg, although it is a cardigan, not a pullover, it’s just a bit less bulky looking than the bernat.